His name was Abdul Khader, He was born in Trivandrum's Cheeriyankeezhi's Aakod Muslim Family, created a era in Malayalam cinema. This era gives birth to the golden period of Malayalam cinema, but this man's participation to promote Malayalam cinema became history. In the edge of commercial cinema. He reigned for 38 years, all these thirty eight years he reigned with his image of hero, and he gifted self marketing technique to the next generations Superstar. Even Mammootty and Mohanlal also supported his views in this generation of Malayalam cinema. His name was PREM NAZIR. Best Actor, when he was in Intermediate at Changnacherry's S.B.College. Prem Nazir first tried his hand on acting in the movie "Tyagaseema", but the movie was shelved in the middle. S.K.Achari directed "Marymakkal" saw the rise in the cinema screen continued with Kunjacko directed "Vishapinte veeli". Prem Nazir started enjoying Malayalam cinema now, while he was acting in "Vishapinte Veeli", Thikurshi Sukumaran Nair renamed him from Abdul Khadar to Evergreen "PREM NAZIR". In 1954, Prem Nazir became the symbol of romance with the film's - "Balyakala Sakhi", "Avakashi", and"Manasakshi". With the God's devine grace, His presence in the movie gave initial collections to the Producers. His change to Action hero from the Romantic hero was well deserved. 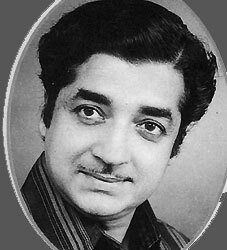 He showed his Calibre as Romantic Action Hero in "CID Mantravadi" and "Jailpulli", while his Superstar status was Challenged only by the Malayalam cinema's own star "Sathyan", with his acting drag back PremNazir, but the mannerism and bueatifulness of Prem Nazir kept him popular among the lovers. That's all being about the Nithya Haritha Nayakan of Malayalam Cinema.